About a week or two ago, Paul Heyman took to Twitter and unleashed a flurry of tweets basically telling wrestlers who had not yet made main event status to stop waiting for their moment and create it themselves. This sounds like good advice and maybe in a normal work environment it would be helpful to be the squeaky wheel, but would it really work in the wrestling business? I’m not an expert on the wrestling business and the only time I’ve been backstage at a wrestling show was when I had to take Kevin a referee shirt at an AAPW show. So what I’m about to write is how a fan, or a smark, perceives the elevation of talent inside a WWE ring. As of June 13, 2012, Chris Jericho still has nine days to go on his 30-day suspension. Randy Orton won’t return from his suspension for at least another 40 days. Alberto Del Rio, who was slated to challenge for the World Title at No Way Out on Sunday is out with a concussion. Rey Mysterio is on the sidelines due to injury/suspension. With four guys currently off the roster and a roster that is firmly split between current/former champions and enhancement talents, now is the prime time for guys to step up and show they belong in the spotlight. There’s very little doubt a number of guys have the talent to be major players. The major question is how do those guys get the chance to shine? Over the last 20 years, wrestling has been redefined as Sports-Entertainment and unfortunately a lot of the time the top guys lean more heavily to the entertainment side than the sports side. Hulk Hogan’s technical prowess paled in comparison to Ric Flair. Steve Austin became popular after trading in mat wrestling for a couple of middle fingers. The Rock was John Cena with sexual innuendos instead of poop jokes. The key issue to point out is all the top guys got time on the microphone to get their personalities over. One of the most popular “what if” questions is what would have happened if the Kliq didn’t do the MSG Curtain Call when Kevin Nash and Scott Hall were on their way to WCW. If that moment hadn’t happened, Triple H wouldn’t have been punished and would have won King of the Ring 1996 instead of Steve Austin. If Austin doesn’t win King of the Ring, more than likely the phrase “Austin 3:16” never would have been uttered and the Attitude Era very well never would have happened. Or it would have happened without the biggest star of that time as the focal point. Jump ahead to today and look at the average episode of RAW. Who is getting extended promo time on a weekly basis? The usual suspects are John Laurinitis (a non-wrestler), John Cena (the focal point of the last 9 years), Big Show (Cena’s current feud), CM Punk (the current WWE Champion), Sheamus (current World Champion) and guys the audience has never seen before (Ryback’s weekly victims). While other guys may get some backstage promos, those segments are usually short and according to several reports, highly scripted. Superstars aren’t getting the chance to show their true personality. This is something that I’ve never understood. Looking at the history of wrestling and some of the great talkers like Hogan, Flair, Dusty Rhodes, Roddy Piper, Stone Cold, The Rock, Jake Roberts, all of them were allowed to showcase their personality and that’s part of the reason fans cheered for them. Now promos are scripted and instead of showing off personalities wrestlers are trying to remember word for word what they’re supposed to say. Why not give guys bullet points and let them connect the dots? If wrestlers were given the opportunity to be more natural and connect with the audience, maybe the audience would care more about the wrestlers. Though given the chance to talk may help some stars emerge, the bigger problem is how guys are presented to the audience. I was looking at the WWE roster on wwe.com this morning and noticed with the exception of Sin Cara, Ryback, Tensai and Antonio Cesaro everyone one the roster falls into two categories: current/former champions or jobbers. Technically I guess you could say guys like Kofi Kingston, R-Truth, Santino, Miz, Dolph Ziggler and Jack Swagger would be the centerpiece of a VIN diagram. If your name isn’t John Cena or Randy Orton though, once you don’t have a belt around your waist, you’re not going to be presented as a major star unless you happen to be feuding with Cena or Orton. CM Punk has been WWE Champion since November of 2011. The last time he was in the main event of a Pay Per View was December 2011. Including No Way Out, there have been six PPVs this year. 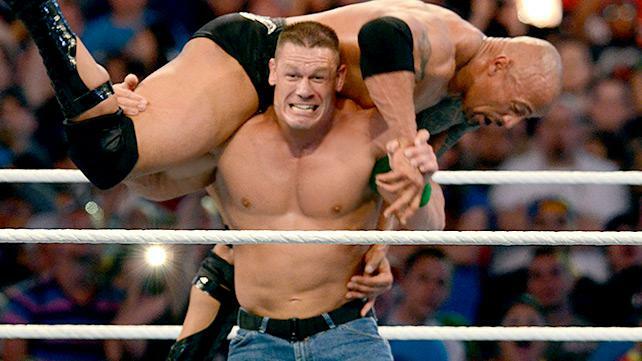 John Cena has been in the main event of every PPV despite not being champion nor challenging for the title. (except the Royal Rumble) When it comes to RAW, CM Punk is usually relegated to the top of the second hour slot while Cena’s angle get the main event slot. Even it there’s no match-taking place. What I’m trying to get at is WWE is training its audience to view Cena as the only true star. The next factor, and probably the biggest, is the fact wrestling matches have predetermined finishes and the people in charge select whom they see as being stars. For example take the cage match between the Big Show and Kofi Kingston from the June 11th Raw. Kofi is an athletic guy. He could probably go in the ring and run circles around Big Show using a hit and retreat style to have a somewhat competitive match. In the process Kofi could show the audience it’s not the size of the dog in the fight but rather the size of the fight in the dog. Instead, Kofi was sent into the match and tossed around like a rag doll. One half of the Tag-Team Champions (you know, the guys who are supposed to be the best) was put into a position guys like “Iron” Mike Sharpe or Rusty Brooks would have been in twenty years ago. Dolph Ziggler is another guy who could arguably be a breakout star but for whatever reason is used primarily to make other wrestlers look good. Getting back to the predetermined factor, how is a wrestler supposed to get himself over when he’s being told what to do and when that plan makes the wrestler look less than impressive? Then you have a guy like Zack Ryder who found a way to get his personality to the masses and got himself over at a time he was barely on TV. What happened to him? He got a brief run with the United States title that few probably remember and then was annihilated by Kane on a weekly basis and betrayed by the object of his affection without ever getting redemption on either person. Zack was made to look like a fool and just as quickly as the crowd got behind him they moved on because they realized their cheers were pointless. No matter how many signs they made, headbands they bought, or how many times they shouted Woo, Zack was never going to be presented as anything other than an over tanned goofball. So how does a wrestler take control of his destiny? I don’t have any answers. As I stated at the beginning, I don’t know what happens backstage in a wrestling company. Is it as simple (or simple sounding) as constantly pitching ideas to the writers or management? Will they listen to the wrestlers or will they get tired of being harassed and either not use the wrestler or use them in a way guaranteed to make the wrestler look bad? Right now RAW is counting down to the 1000th episode. It’s rumored, and was evident on this week’s show, WWE is looking to bring in some past stars to celebrate the occasion. 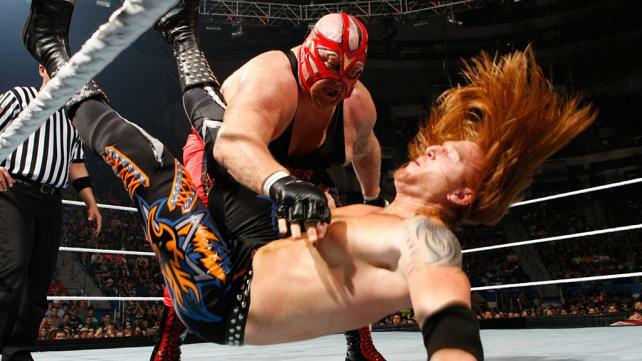 This week we got the return of Vader in a match where he defeated Heath Slater. I enjoy nostalgia and am curious to see who shows up in the next few weeks. However when a 57 year old with bad knees beats a twenty-something wrestler who could be a potential star, what message is being sent to the fans? However the way, something needs to be done and done quickly. I have heard from a few reliable sources that the penciled in main event for Wrestlemania 29 is a rematch between Rock and John Cena because Vince McMahon doesn’t think any other match will sell out. First off, I hate seeing rematches at Wrestlemania so I hate this idea. Second, this year’s match was billed as “Once in a Lifetime” and therefore I have my lawyer working on a class action lawsuit for false advertisement should the match happen two years in a row. Third, and most disturbing, we still have ten months until Wrestlemania and Vince is thinking no one on his roster can be trusted to headline the biggest show of the year. Instead of looking to the past maybe Vince should try and create a new star. The only way that’s going to happen is if he admits the standard procedure hasn’t worked in ten years and WWE needs to toss out the playbook and do something new. That’s how the Attitude Era happened. Staying the course is the easy path but it won’t lead to different results. I wish I had some great words to finish this blog. Some great idea that would revitalize wrestling and lead to the next breakout superstar. Even if I did, I’m sure it would fall on deaf ears. As a fan, I’ll continue to watch every week and marvel at how underused some guys are while at the same time being treated to the same main events I’ve been watching for the past five years. Then I’ll get on the computer and punch out another thousand words about how disappointed I am in the major wrestling promotions. The sun will rise. The sun will set. Lather, rinse, and repeat. Do you have any suggestions on how WWE (or any wrestling company for that matter) can create new stars? I’m curious to hear your feedback. Share your thoughts on our Facebook page.